Well I trust that all of you who were glued to the internet waiting for a New Year’s Day rate change have returned to reality by now. Before I address the events of last year I’d like to make a few bold predictions for 2013. I will stake my reputation on the fact that the value of the dinar will not increase by more than 10% in any given month or by 50% this year unless there’s a lop. The same goes for the Vietnamese dong. I also predict that we will see another indictment of one or more of the douchebags I’ve written about in the past. I predict that Iraq’s M2 will end the year at more than the current figure of 72 trillion unless they redenominate. And finally, I predict that Obama and Maliki will both end the year without being removed from office. Yeah, I know. Some of you are saying that I’m pretty safe in those predictions, and yet what I’m saying flies in the face of what we’re hearing from most of the pumpers and gurus. You see, BGG recently announced that he’s going to start keeping score with the track record of other gurus. I just want this on record so that at the end of the year BGG can compare my record with his and everybody else’s, not that I actually believe he’ll acknowledge anything that I have to say of course. 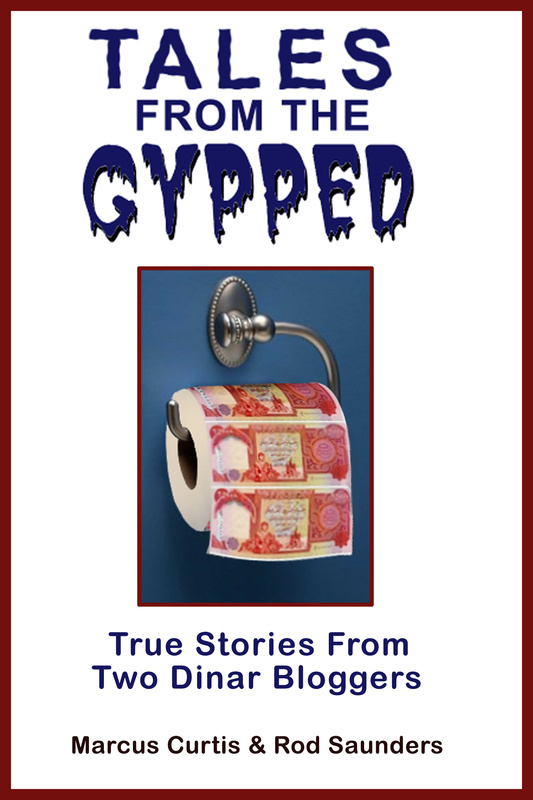 2012 was a fascinating year for somebody like me who reads and writes about the dinar and dinar pumpitude. Of course every week some guru was sharing their intel about the impending RV, and every week they were wrong. Most of the year we heard stories of whales cashing in their dinar in Reno, Nevada ahead of the RV. People were convinced that they were somehow going to be allowed in on this early cash-in. It’s a scam, of course. But what can you do? Some people never learn. I’m told that some arrests could be forthcoming regarding the Reno thing but as of yet we haven’t seen any. Maybe it will happen in 2013. In January we saw the first increase in the official value of the dinar in three years when the dinar went from $.0008547 (1170 dinar per dollar) to $.0008576 (1166 dinar per dollar). Despite all of the gurus and pumpers who claim to have rock solid intel from CBI contacts and government officials, nobody seemed to have a clue that a 4 pip increase was coming. Amazing, huh? Of course, after the increase they all had to comment on what the increase means. Some said it was a head fake. Others said it was just a system test prior to the real RV. After a few months it became apparent (to some of us anyway) that this increase was done to address the spike in inflation resulting from the IQD exchanged for USD when coalition forces left Iraq at the end of 2011, and was probably the only RV we would see in 2012. In March the Arab Summit in Iraq came and went without “the RV”, despite the numerous claims from the gurus that they needed to revalue prior to the summit. In April we nailed down the true identity of Adam “Wolfyman” Montana, exposing him as a liar and a fraud. In September four people were indicted on dinar related fraud and money laundering charges, three of whom have been featured in this blog’s header. In October CBI governor Shabibi was removed from his position under allegations of financial misconduct. Again, none of the gurus had a clue that this was coming, but they certainly seemed to understand the implications. And finally in December – the sickness/stroke/death/whatever of Talabani. None of the gurus saw this one coming, either. Okay, I’ll give them a pass on that. I mean, who knew that a fat, 79 year old smoker and drinker with diabetes might keel over? Still, they all had their views on what this meant for “the RV”. I’ve written about this guy several times, but never really knew his story. Well the other day I read this at Dinar Vets from a member named Rayzur. I was quite taken aback… okay almost stunned when I saw FF being referenced as any kind of guru in a discussion that was actually talking as if he had any credibility. I’m sure he is a nice guy, and at least at one time, had earnest intentions. And, that said, I remember when he first started coming into Okies chat room as this young (early 20’s) kid about a year or so ago, who did not have a clue about the more salient points of the discussion, the mechanisms, properties, issues or considerations about Iraqi currency and that referred to as the RV. He mostly tagged along and would offer encouraging words now and then. Eventually, he started to increase his participation by adding his opinion about the RV, as determined by his prophetic vision or messages he would get in prayer. Vague though encouraging at first, he never really committed to an actual date or rate, and seemed to dovetail off Okie’s predictions in direct correlation to the news Okie gave (with his own prophetic messages inter twined so as to look like his own words)… He was definitely a follower, albeit most encouraging (in vague feel good stuff), and increased his offering of prophetic messages consistent with the feedback and his intra-room following. He and BWM would talk a lot in the room… with BMW usually leading and FF following. While initially fascinated watching the kool-aid being served in the room (and truly enjoying some great friends I met there in messages back and forth), I eventually left the chat room as it became just too difficult to take, filled redundant, insipid, inaccurate, wrong and meaningless word salads. I had been a member of DV throughout my adventures over to the hysterical room, and one day it just got to silly to justify returning for hit of amazingly stupid. There are so many people from the Okie room now venturing out into the land as gurus… having apparently graduated from the Okie training school of meaningless, mindless, pontification, then mixed with the unique bedazzlement of the person (in FF case it would be his prophetic messages,…. which for the record have never ever in my awareness over the past year and a half, ever, even one time, been right no matter how small or inconsequential)…. The only remaining question for me with FF and most of the other graduates is whether or not they stay in touch with Chief Full O Bull (Okie). Has he remained their puppet master, with their voices his…. or are they functioning as an Okie franchise, and independently operated…. So according to Rayzur FF got his start hanging out in Okie’s chat room and slowly built a following by talking about prophecy, prayer, and visions pertaining to the dinar. That right there should be all you need to know. (quoting Hugh Tant) “The cost to produce the currency was approximately six cents per note, which allowed for a very high quality paper“. Now … you go look at today’s rate, and they paid six cents for a tenth of a penny. Does that make sense to you? No, it doesn’t …. later on down the road that’ll play into it being a hard manipulation. It’s just a stupid, dirty float. It cost them six cents per note. So just from the cost of printing the currency and getting the whole thing done, you go look at your currency and it cost them … JUST ONE NOTE … it cost them six cents to do that. So that’s what its real value is worth. At a minimum. As I was listening to this bovine excrement I was absolutely floored. “Breitling has outdone himself”, I said to myself. I figured I had to address this in my next update post, but the following day he offered a “clarification” that he was really referring to the new 1 dinar notes that have to be worth more than a tenth of a penny. Well OF COURSE the value of the new currency will be greater than that of the IQD. That’s the whole point in redenominating – higher value and lower money supply. But the transcript that I posted above shows very clearly that he was talking about the current value of the dinar being held down since it was printed in 2003, not the new value post-lop. He even stated that he doesn’t know what the printing cost is today, so you know he was referring to the cost nine years ago. My theory on this is that B did that video and uploaded it thinking he had just given people some incredible info to justify a big RV when somebody probably pulled him aside and explained the difference between currency notes and monetary units, and upon realizing what a fool he had made of himself he went into damage control mode and came up with this lame-arse explanation. Nice try Tony, but no cigar. A week or so later B was at it again, saying that Donald Rumsfeld sold WMD to Iraq when he was Secretary of Defense back in the 80s. This is one of those talking points from political hacks that eventually become accepted as fact when they’re nothing of the sort – kind of like forum facts about the dinar. Actually Rumsfeld was an envoy (not Sec. of Def.) in the 80s when we provided Iraq with economic aid, counter-insurgency training, battlefield intelligence, and some conventional weapons (not WMD) from third party nations like Jordan, Kuwait, Saudi Arabia, and Egypt in order to keep Iran from becoming too powerful. I would challenge Mr. B or anybody else to produce any article from any reputable news publication stating that the US sold WMD to Iraq. It’s really not that relevant as to the future of the dinar, but I think this speaks volumes about the lack of adequate research and factual commentary he provides. In the same video he stated that Obama and Biden advocated splitting Iraq up into three zones. Actually this was a proposal made by Joe Biden in an op-ed piece in 2006, and it merely suggested that Iraq be decentralized into three autonomous regions to reduce ethnic tensions. This was over two years before he became VP and it was never a policy advocated by the Obama administration. Again, not too relevant per the dinar but it definitely speaks to the issue of credibility. I’m really really tired and fed up of all the people that call me and complain because those are the people I ask them “are you a Christian?” “… well, I believe in a creator …” No, you’re not a Christian. I understand now why you’re acting the way you’re acting. Doggone it, a Christian knows very well to be faithful … that’s the first thing … the reason that we accept God because we have faith to accept Him. And then the things that He brings us to we keep hold of that faith. We don’t let go of it like a little child that’s not disciplined enough nor old enough to understand what is right and wrong. This isn’t the first time a dinar douchebag has made such an analogy. In January of last year Okie compared faith in his intel to faith in the resurrection of Jesus. Listen Frank, a person can be a committed Christian and still have sense enough to recognize that your intel and analysis are worth about as much as the official value of the dinar you’re pumping. After a few years of hearing you and Delta tell people they’re going to be blessed any day now when Iraq RVs, it’s only natural that people get a little annoyed and choose to inform you of that fact, especially after seeing some of your fellow pumpers getting indicted for saying similar things. Later in that call Frank tells his listeners that Iraq is telling their people that they have so much gold that they’re going to start using it to back up their currency. (58 min. in) Actually Iraq already had some gold in their foreign currency reserves, and what they announced was simply that they were increasing the % of gold in the reserves, probably replacing some of the “iffy” euros in their possession. Yet another lie from Frankie Frankie. Which brings me to the Douchebag of the Year award. Try as I might I couldn’t decide. So many douchebags to choose from ….. what to do? I’ve decided to just let my readers pick the winner. My only role will be to nominate the candidates. I nominate everybody who received a Douchie in 2012. You can see the list here. Make sure you only select one from 2012, as the list includes winners from 2011. Either email me or post your choice in the comments below by midnight January 31. The winner will be announced shortly thereafter. Despite all of the lingering douchebaggery there is at least one dinar site that has opted to move on from the “waiting for the RV” mentality and do something productive. Proteus from Revalue.US is putting together a new site called PrimeLIVE.us where different contributors will be offering tips on how to develop skills, talents, and ideas to enhance their lives rather than vegetating while waiting for the ever elusive revaluation of the dinar. The theme is “being pro-active”. This positive step is long overdue IMO. Kudos to the PrimeLIVE gang. I grew up in a very small poor town. I had a happy childhood and didn’t know how poor we were. However, I learned from the behavior of my parents and others around me that dreaming meant dreaming of things that were never attainable so why bother. With the hopes of having more than a little bit of money from the revaluation of the dinar I started dreaming of things that I wanted that really could be obtained. As time passed and the RV never happened I found that these were things were things I really wanted such as setting up a scholarship fund for art students in my dad’s name. I decided to take matters into my own hands and started taking classes to learn how to trade options in the stock market. It’s been a year now and I’ve got a pretty good handle on it. I’m making money but not enough to support my kids….yet. I will eventually because I have dreams, real dreams, and I’m going to get there. Another area that has greatly changed in my life is my relationship with my older brother. He is only five years older than me but is from my mom’s first marriage. I’ve always idolized him but he has never felt a part of our family. When he learned about the dinar he felt the need to share it with my two other siblings and me. We talked a lot about the possibilities of the revaluation and our future. We talked about how we could help our children and how we could help others with the money. We found we had a lot in common. He is now my trading partner and we talk almost daily. The dinar may never revalue and I think I’m okay with that. Don’t get me wrong, I hope it does and soon, but if it doesn’t my life has been so richly blessed already that it will just be icing on the cake. I’m not one to share my thoughts very often but I wanted to let someone know how much I have benefited from just being made aware of the dinar. It’s great to dream Marlys, so long as those dreams have some basis in reality. Getting rich off of “the RV” isn’t realistic. The best dream is the one where you can roll your sleeves up, go to work, and make it a reality. You seem to have a firm grasp on that. Congrats! Have a happy and prosperous new year everybody!